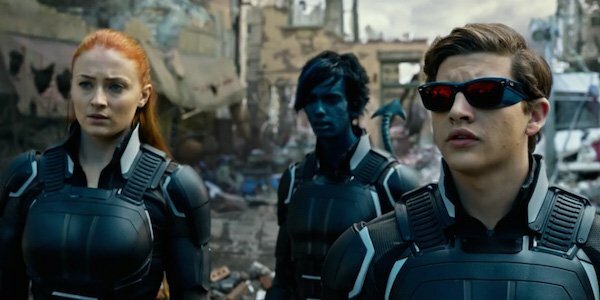 X-Men: Apocalypse may be the OTHER big superhero blockbuster of the month, but that doesn’t change the fact that fans should be excited. The film promises to be a capper of sorts for the new X-Men trilogy that began with X-Men: First Class. If you ask Bryan Singer, director of four X-Men films, this isn’t the end of a trilogy. He doesn’t even consider it a sequel, but instead the climax that’s been built up over the course of six movies. Bryan Singer directed the first and second X-Men films (X-Men and X2: X-Men United) before leaving the franchise, only to come back years later to direct X-Men: Days of Future Past. Now he’s back for what could possibly be his final time directing the big screen X-Men, and he’s looking to go out on top. While speaking to Fandango, Singer made it clear that Apocalypse isn’t a conclusion to First Class, but a continuation of what was started way back in 2000. To me, this is not the end of a trilogy. To me, this is the climax of six movies, including X-Men 1, 2 and 3. It incorporates pieces and homages and reflections back on those previous movies. I don’t call it a sequel or a prequel – I call it an in-betweenquel. It harks upon all of those movies, and because it’s ultimately about the formation of the X-Men, it’s the beginning of endless possibilities with these characters. It’s not every day that the sixth movie in a series is where everything really begins, but that’s just the beautifully weird timeline of the X-Men movies for you. It seems that despite the title of the film, things are going to end pretty good for the Merry Mutants. We live in an age of mega superhero franchises, and though X-Men is one of the oldest, it’s really just now getting into the extended universe franchise game. It makes sense that Apocalypse is in service to that and not just putting a cap on these characters. X-Men: Apocalypse will be introducing several new players into the franchise. There are new young versions of Jean Grey, Cyclops, Nightcrawler, and Storm, who will probably be the face of the new team going forward. There are also the new franchises entering the X-Men world, like Deadpool (which I think just barely exists in the same universe), a New Mutants movie, a Gambit movie, and Wolverine 3. All of this is slowly broadening the X-Men franchise, so it’s a pretty good time to be an X-Men fan. X-Men: Apocalypse, which promises to continue the story of the X-Men and not destroy them, opens later this month on May 27.